French bulldogs are one of the popular breeds among dog lovers. If you wish to get a French bulldog, there are several things that you need to be aware of. As they belong to the brachycephalic dog breeds, French bulldogs require special care and attention. French bulldogs, like all their short nosed companions are vulnerable to the following health concerns. With all these health concerns on the line, it is always ideal to ask specific questions to the respective breeder prior to getting your French bulldog. Here are top five questions worth asking your French bulldog breeder. Puppies are expected to get their first vaccination when they are 50-60 days old. They should also get the vaccination for flea and worming treatment when they are 6 to 8 weeks old. It is important for you to verify that the breeder has administered these vaccinations. You can confirm this by requesting the paperwork. If the breeder is unable to produce the paperwork or has not administered the vaccine, it shows that the he is not responsible. When getting the puppy, it is important to confirm that the parents are healthy. This can be verified by reviewing the health checks performed in the past. Usually, breeders perform wellness check, which is usually performed by a veterinary surgeon. Usually, these checkups include tests for stenotic nares, elongated soft palate, ocular cataract test, hip dysplasia, cherry eyes and deafness tests. These tests are usually carried out via MRI and CT scans. You can ask the breeder for the proof of these tests or request the breeder to perform these tests prior to signing up for the puppy. It is important to be aware of the breeding frequency of the breeder. We recommend 1 litter a year for a female. If a breeder has more than one French bulldog, it is important that they have only one pregnant female at a time, so that they can get the prime attention. It is ideal to have only two litters for French bulldogs throughout their lifetime. It is recommended so as brachycephalic dogs are known to struggle with pregnancies. Genetic conditions in brachycephalic dogs do not present itself until they are 2-3 years old. This is why it is important to ask the breeder whether the parents are in that age range. If the parents of the puppy are below this age range, you might not have a way to determine the diseases the puppy might have. It would be ideal if you can meet the parents of the puppy and confirm that they are above two years of age prior to fixing the deal. It is also important to try and analyze the personality of the parents, are they hyperactive, aggressive? Do they easily blend in with the strangers? Even though puppies let you handle them as they like to be accustomed to what is normal, however, handling them too much might prove to be irritating. This can make the puppy irritable when he is handled in the future. It is important the breeder does not handle the puppy too much and gives him his space whenever necessary. You can visit the breeders place and see how he is handling the puppies to verify. 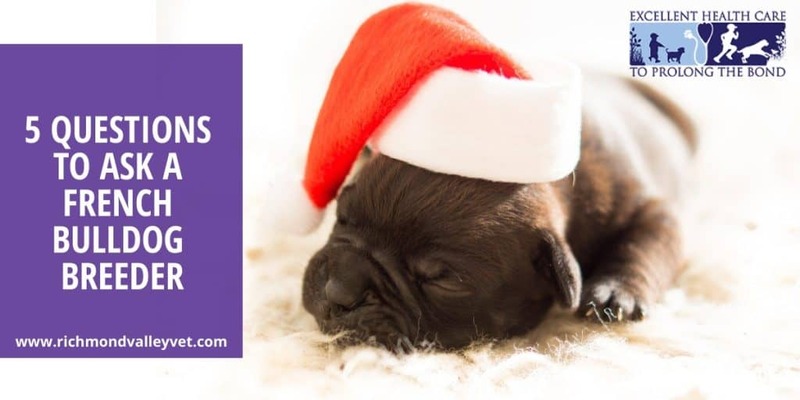 Getting any puppy, especially one that belongs to a brachycephalic breed can be an overwhelming task. This is where an elaborate research and the above listed questions can come in handy.